Have you ever wonder what mycologist do? Have you ever seen various types of mushrooms other than those you see in the supermarkets? You should join our programme, Mushroom Detective on this October! We will open the door to mushrooms’ world to give you an idea of what mycologist is, and this is totally different from those you usually have seen. 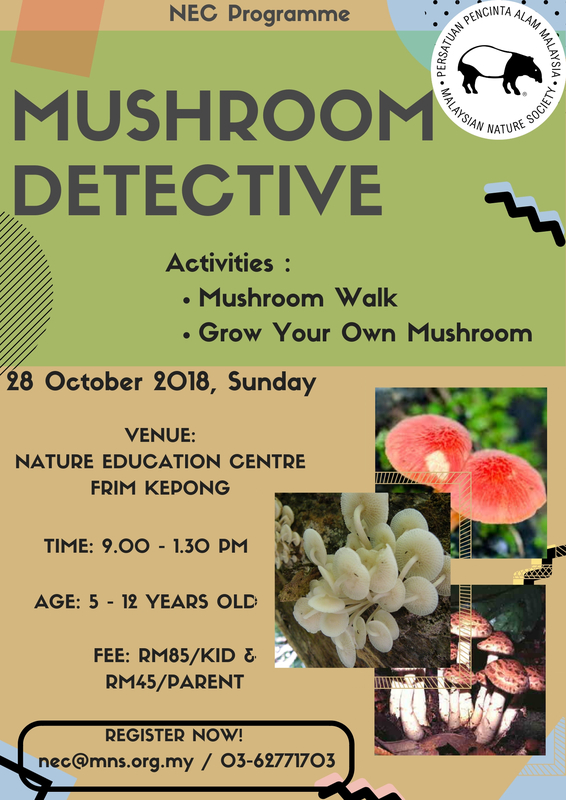 On that day, we will together go for mushroom walk in forest, search for mushrooms, and get beautiful images of mushrooms, identify and get to know the mushrooms we found on the trail, and last but not least, have a first-hand experience of growing your own mushrooms!